I'm happy to be on a few tracks from James Andrews' upcoming album, "The Big Time Stuff". 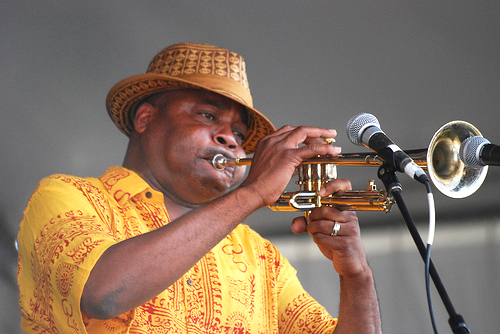 James is Troy "Trombone Shorty" Andrews' older brother, and is a real veteran of the NOLA scene. This was recorded in Brian Jay's (Pimps of Joytime) home studio. Tracks: "Keep That Music Playin" feat. Cyril Neville, "Ghetto Funk Music" feat. Monk B, "Take A Little Trip"